btw, can you advise on PIA? my friend was saying that PIA is offering 2 years of subscription for only 60$US. 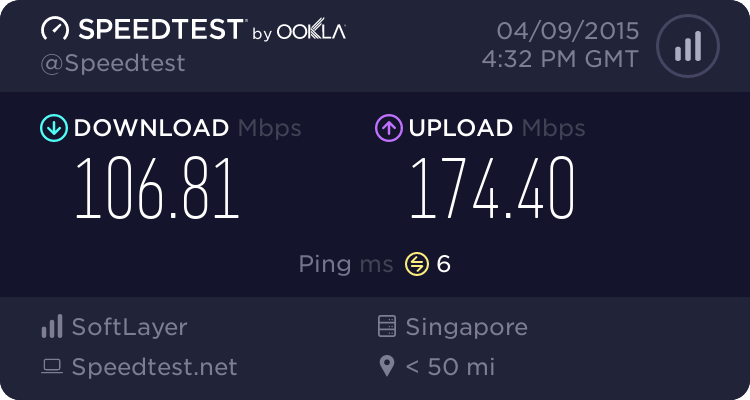 I'm interested in PIA speeds as well, any current subscriber can help do some speed tests? I tried their free 3 day trial, slow and unreliable. Test it out yourself. Is it better to use stealth all the time since it is more secure? Does the speed suffer if I use stealth instead of open? Tested during peak hours, speed remain the same be it Open or Stealth. I've not use PIA before so can't comment, however, some bros here have more than 1 VPN and negativzero is one of them, below are his comments (post #762) on both Astill & PIA. PIA just added a Singapore location. Testing it out now and its quite good! I'm on trial on Astrill. Anyone tried Astrill on China server? No choice due to the China Great Firewall, it is able to "learn, discover and block" encrypted channels provided by VPN companies. About same for me. Really slow. Have tried using stealthvp, but often won't even connect. I've tested out a lot of VPNs, if you want a cheap and no frills VPN with decent performance PIA is it. At this price range, you can't beat PIA. They are adding more locations and servers everyday and as far as p2p goes, they're the fastest around, even faster than those more premium VPNs around. Don't bother with PureVPN, its pure garbage. Also don't bother with those free VPNs or those $1 a year kind, not worth your safety and the performance is nothing to shout about. If you got some money to blow on the other hand, go for Astrill, Goldenfrog or AirVPN. They come with the best features, most locations and the best speeds. They all also come with GFW penetration technologies and AirVPN also comes with geodns so you can unblock websites from whichever region you connect to. They can be a little expensive but if you can wait for deals like black friday or memorial day sales, they can go as low as $40 a year, thats how I got mine. anyone try VPNGATE before, is free and speed wise can get 10-40 Mbps depend on server chosen and timing. just tried for a few hours. same results. poor speed. no connection some of the times despite being "connected"
bro, is PIA as easy to use as Astrill? I am using Astrill for the 2nd day and it's very easy to use the PC client. I also managed to install the Astrill applets onto my Asus Router, though the speed wasn't too optimum. Bros on Astrill, how do you determine the best server to use for bukit timah? Do you run speed test to determine or what?